Bus transportation is regarded as one of the safest modes of public transportation. Millions of passengers ride safely every day to and from work and school, and for pleasure. 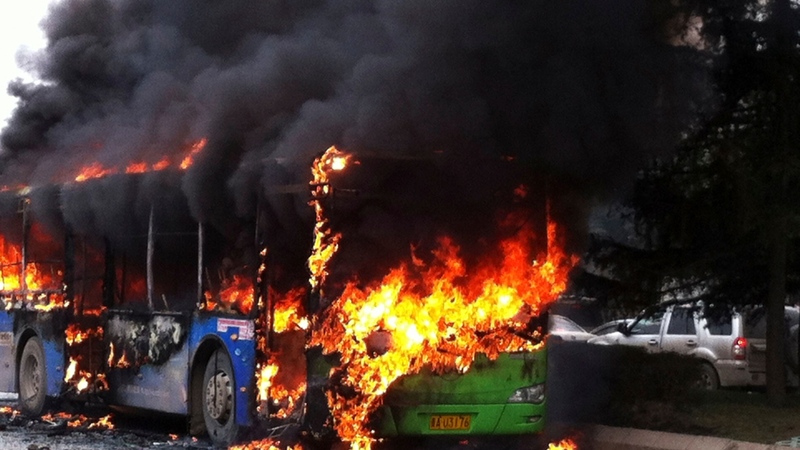 Buses pose many unique challenges in regard to fire risks. 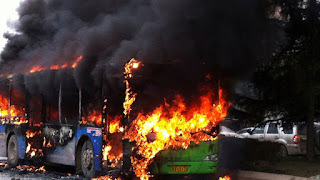 Fire safety plays a major role in public transport because in variably there are a large number of people in an enclosed ‘area’ which is also mobile. This makes sudden escape tougher so it is essential to ensure not only is enough care taken against a fire accident but in the event it does take place, there are enough drills carried out to minimize injuries. It is never possible to rule out the risk of fire. High fire loads like cabling networks and onsite technical equipment, as well as the inattentiveness of passengers or staff pose a constant risk of fire. The right choice of materials, fitting of seat belts, requirements for manual fire extinguishers and the installation of fully automatic fire fighting systems in engine compartments are safety measures that have been applied. The existing fire detection system should be complemented by a fire fighting system that automatically extinguishes the fire.